New Years Resolutions with a twist! “Why, you may reply, you never seem to keep them, you may have given up! This year, I am going to try something new. I was reading a friend’s post earlier and she used one word to guide her. Curious, I did a quick review of this year to see if I could find what my one word may have been. It was a resounding “Yes” yes to my life that I declared actually last November 13. This was my mantra that carried over for this year. What will it be for 2015? I got quiet, closed my eyes and started to breathe and the word came to me. The word was “Balance” perfect, I thought. This year proved to be off the charts in awesomeness and I said “Yes” to most of what came to me that I wouldn’t normally. Being an introvert, I find putting myself out there to be rather daunting, however, as I had said yes to becoming a grief coach and yes to authoring a book. I was sure that these two passions of mine would require me to be a little bit more extroverted. This is what saying “Yes” actually helped me to do. I found when I said “Yes” then all my fears rose up to let me know why I shouldn’t be doing it. How did I silence the fears – well that is a Blog for another day! Now as I sit down to plan, I will use that word as my guiding light, my North Star so to speak. Just looking at what is already planned for my first quarter, is enough to make me want to hibernate. Over the next few days I will let you know how it works. In the meantime what word could you use to guide you? Oh, my friend’s word last year was “Visibility” – which was perfect for her as she was focusing on launching her business. How to survive and thrive when you have lost someone. It is hard to begin with, your mind is always in the past and the future is hard to see. It is like the pages in your book of life have been torn out and new ones have yet to be written. During this time I found that it takes support, compassion and action! Planning and simplifying expectation as I mentioned in the tips to help you through the biggest holiday event of the year Christmas! This year, I too simplified my expectations, why it has been 3 years since Dad died. However, this year, I believe I would be in what is clinically known as reactionary grief. Although Mum is still with us, I have in essence lost her to Alzheimer’s. Instead of mum supporting me, I am that loving caregiver to her. So this year, yes I am simplifying. I have been pondering now for a few days on how I can give you hope and I believe this may help. Our minds are so quick to jump and remind us of all that we have lost, however, in those times we could also remember all the things we have and are grateful for. The more we practice gratitude in our lives the more we will get to see it magic. I can now be grateful and I see the gifts he has left me with. I can speak about him with love and joy and not break down into tears or feel that tug at my heart. 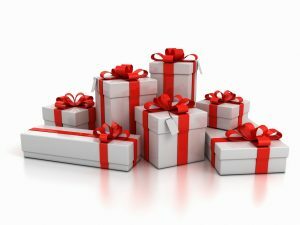 As I looked back, I found these 7 gifts he has given to me. These will not be packed away gathering dust but rather they will be held in my heart and taken them out when needed. Dad – you gave me…. I am so grateful for these gifts.